When the Mumbai-Ahmedabad double decker Shatabdi chugs out of Mumbai Central on March 20, it will be swathed in advertisements. The train ­ its coaches will carry advertisements of hygiene brand Savlon ­ will be Indian Railways first `branded' train, and will be part of the Savlon Swasth India Mission, a social awareness initiative for promoting hand hygiene. 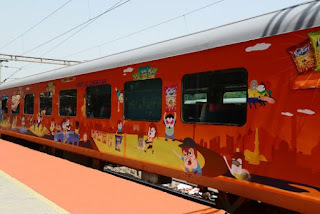 Spurred by prime minister Narendra Modi's suggestion to look at raising revenues from alternative sources, the Railways hopes to earn around Rs.2,000 crore in non-fare revenues by selling the rights for vinyl wrapping ads on the exteriors of its flagship trains and stations. 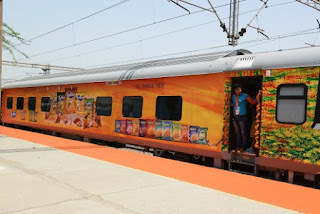 Mumbai Rajdhani, August Kranti Rajdhani, and Mumbai-Ahmedabad Duronto Express are some of the other trains that will carry advertisements from leading brands.